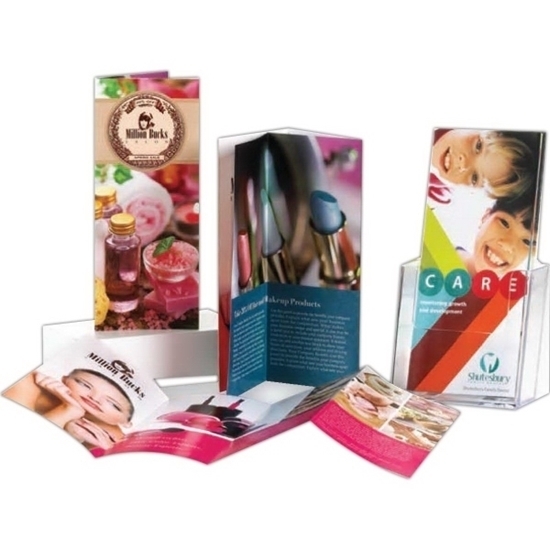 Full Color Brochures are a great way to motivate customers with detailed information about your products or services. They're perfect for conventions, sales calls or as a handout at a store counter. Available in four sizes from 8 1/2" x 11" to 11" x 25 1/2", 8 folding options and 7 premium paper stocks. Optional three-hole punch and perforation are available. Graphic design service available, please call for more details.